Every year, local newspaper Style Weekly releases its “Best of Richmond” issue, which details the area’s top-rated businesses and attractions—with categories like Goods and Services, Nightlife, People and Places, Food and Drink, and more. The publication recently posted its 2018 list, and our team is excited to announce that Dr. Neil J. Zemmel was awarded first place for “Best Cosmetic Surgeon”! The annual Style Weekly issue is voted on by readers through an online poll. Once the voting period has concluded, the results are tabulated and finalized by the publication’s editorial staff. 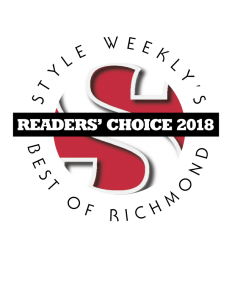 Among the collection of winners this year, we are thrilled to see our very own plastic surgeon chosen as the readers’ pick for 2018. Dr. Zemmel takes pride in knowing his commitment to helping patients is making a difference in the community. He says the people he meets every day are what make his work so rewarding. For all of you who voted for Dr. Zemmel, or have ever trusted our team with your cosmetic surgery needs, thank you! We look forward to continuing our mission of providing exceptional surgical care to those coming from Richmond and beyond.